+67% Like This Video of 12 Votes! 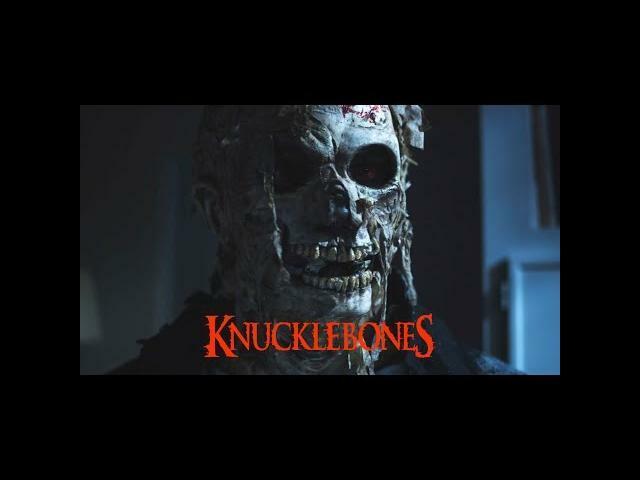 Mitch Wilson"s Knucklebones (2016) was recently picked up by Midnight Releasing and here is the movie trailer . Wilson has the potential of creating a new slasher movie icon with this slasher film. Knucklebones stars Julin Jean, Katie Bosacki, Justin Arnold, Cameron Dean Stewart, Taylor Tippins, Daniel Walker-Rice, Jason Duffy Klemm, Carrie Holland, Tom Young, Mary Catherine Wells, and Tom Zembrod plays Knucklebones. Synopsis: After suffering a near-death experience, Neesa Avery has literally been to Hell and back. When she and a group of friends discover an ancient dice game hidden behind a wall in an abandoned WWII factory, they unleash the powerful demon Knucklebones. As they attempt to finish the "game," it becomes clear Knucklebones has special plans for Neesa and, having met her briefly in Hell, is saving her for last.